The contract that launched The Beatles' career could fetch up to half a million pounds when it goes on sale for the first time. It is the only management contact signed by the final Beatles line-up (John Lennon, George Harrison, Paul McCartney and Ringo Starr) and their manager Brian Epstein. It was signed by them all on October 1 1962, just four days ahead of the release of their first single Love Me Do. The document will be up for grabs at Sotheby's "Rock & Pop" sale. "Without this contract, and the relationship it represents, it seems inconceivable that the Beatles could have achieved all that they did: it took more than inspired musicianship and song-writing to remake popular music. "The presentation, direction, and internal harmony of the Beatles all owed a huge amount to Brian Epstein. He was, as Paul McCartney has acknowledged, the Fifth Beatle." A signed 'luv cilla' handkerchief will be placed up for auction later this month as part of a collection of Beatles memorabillia. It's just over a week since Cilla Black passed away at her villa in Estepona. The auction will be held in the Paul McCartney Auditorium at the Liverpool Institute of Performing Arts on the 29th August. 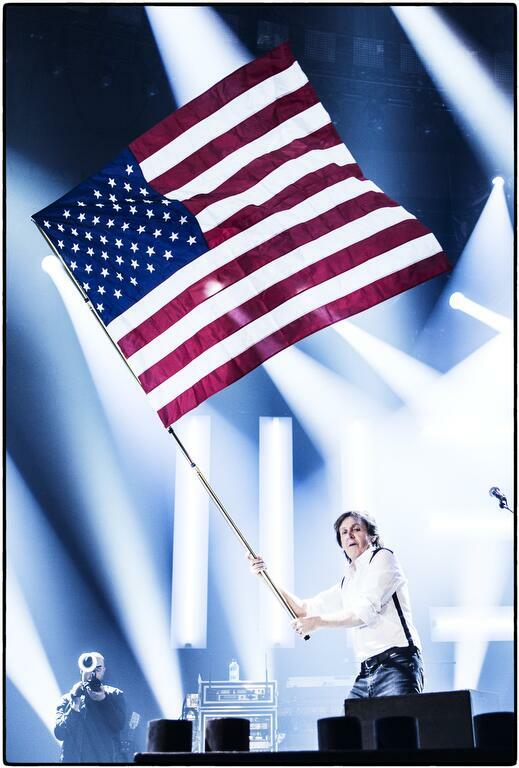 Sir Paul McCartney was back on stage last night after recovering from a virus which left him hospitalised in Tokyo. The former Beatle performed in Albany, New York, after a two-month recuperation. He later tweeted that it was an "incredible night". A leather jacket owned by Beatles' star George Harrison could fetch £120,000 when it is sold at auction. The collection, on sale at Bonhams auctioneers in London, was gifted by George Harrison to his brother Harry and other members of the family. The jacket is George’s iconic Cavern Club and Hamburg era leather jacket. He bought it in Hamburg in the 1960's and it was part of his essential on-stage wardrobe between 1960-1962. Also up for sale is his bespoke orange western style shirt designed by Nudie’s of Hollywood, identical to that worn during the landmark ‘Concert forBangladesh’ in 1971. The shirt has a price tag of £6,000 - £8,000. A pair of George’s custom made leather ‘Beatle’ boots, synonymous with the band’s style at the height of Beatle-mania in 1964 will also be offered with an estimate of £12,000- £15,000.